The moment of truth for the HeartGift Baja Racing Team is almost here. The Team is already in Ensenada, Baja California, ready to cross the starting line of the grueling 1,130-mile, 47th Tecate SCORE Baja 1000 race tomorrow, November 13. Every year, scores of adventurous men and women compete in one of the most grueling racing events, the SCORE Baja 1000. This year's race will take place November 12 through 16. It will start in Ensenada, Baja California, and end 1,130 miles and 30 to 40 hours later in La Paz, Baja California Sur, Mexico. The race tests both machines and humans as it takes place over some of the harshest and most unforgiving terrain in the Baja peninsula, including desert, sand traps, rocks, steep hills, cattle crossings and, yes, even some paved roads here and there. There have also been reports of hidden traps and obstacles "created" by sensation-hungry spectators in remote parts of the course. What makes this race so special this year is that an adventurous and generous couple from Houston, Texas, will be driving their HeartGift Baja Bug #579 to raise awareness and money for HeartGift, an organization that has already saved the lives of more than 230 little patients from more than 30 countries through life saving surgery performed in the U.S. to correct congenital heart defects. This laudable organization which has chapters in Houston, Dallas, Austin, San Antonio and New Orleans expects to have sponsored and helped treat 37 children this year alone. To help make such treatment possible, the Crouches, well-known Houstonian benefactors and founding Board members of the Houston Chapter of HeartGift, will have their newly made-over, neon pink and purple "Baja Bug" rearing to cross the starting line of one of the longest and most dangerous desert circuits in the world, tomorrow, Thursday, November 13. Kay and Greg Crouch drove in last year's 883-mile Baja race, but "just for fun." This year's race is different and even more challenging, but a challenge the Crouches gladly accept to raise money -- through pledges -- for HeartGift, to cure children who every day of their life face much bigger risks and challenges than the Baja 1000 could ever offer. 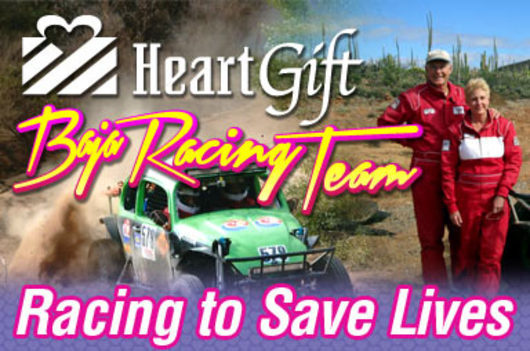 Thousands have already pledged varying amounts -- as little as 10 cents-- for each mile the HeartGift Racing Team completes, to help little HeartGift patients receive the life-saving heart surgery they so desperately need. There is still time to do so here. 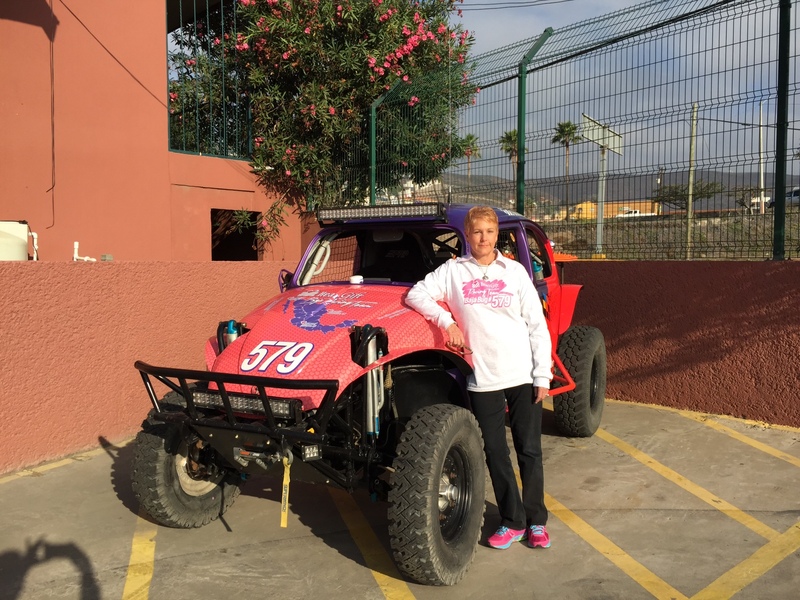 The Crouches and their enthusiastic team of co-drivers and support personnel, including Ken Meador, Edward Salazar, Rick Morris and Diana Morris, invite you to watch and cheer as the team starts the race in their Baja Bug #579, Thursday, November 13, at around 3 PM CST at www.dirtlive.com. To get you in the mood to watch tomorrow and to pledge today, please watch the delightful video below, where the Crouches promise to go back to Baja this November, "racing for the hearts of children worldwide." "We have the car, the experience, the desire and the mission," they say. All they need is your support. To learn more about HeartGift, please click here.